Successfully Added HK Warehouse Preorder Elephone U Android Phone - MTK6763T CPU, 4GB RAM, Android 7.1, Dual rear cameras (Blue) to your Shopping Cart. Elephone U as a phablet features 5.99 inch 10 points AMOLED display afford you a vivid and different visual experience. Triple cameras, 13.0MP +13.0MP dual back cameras and 8.0MP front camera, you can enjoy images with high resolution. It comes with most of the features we've come to expect from a phablet, including 4GB RAM and 64GB ROM storage equipped with Android 7.1 OS that you can play games faster,3620mAh battery can keep working long time. 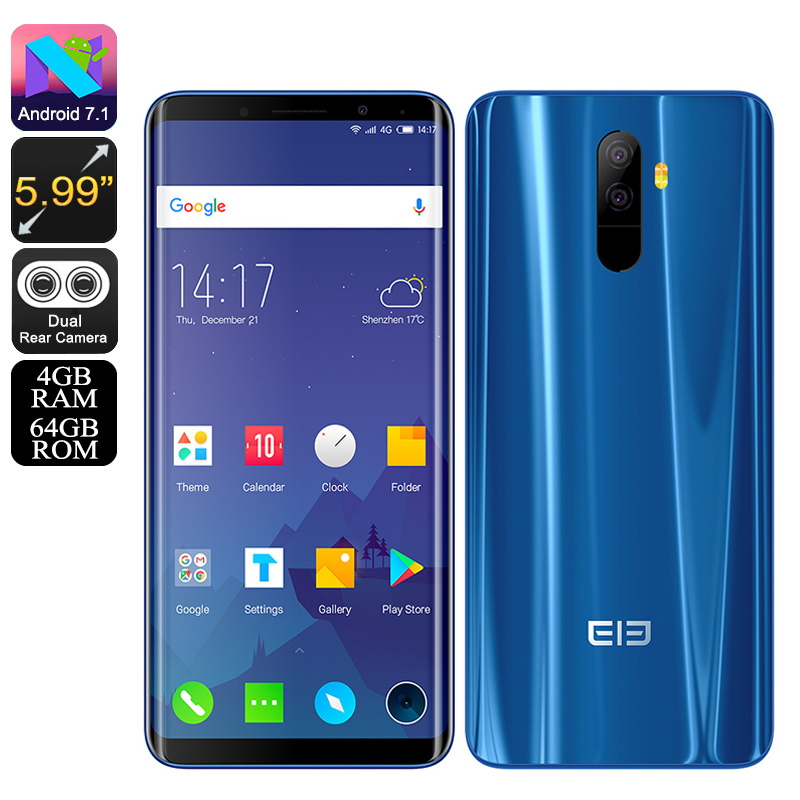 This Elephone U smartphone comes with 12 months warranty, brought to you by the leader in electronic devices as well as wholesale Android phones from China..